Home Opinion Guest Posts What to Do When You Can’t Vape? At a recent vaping event I spoke to a person who witnessed a guy get arrested and hauled off an airline after getting caught vaping in the restroom aboard the plane. 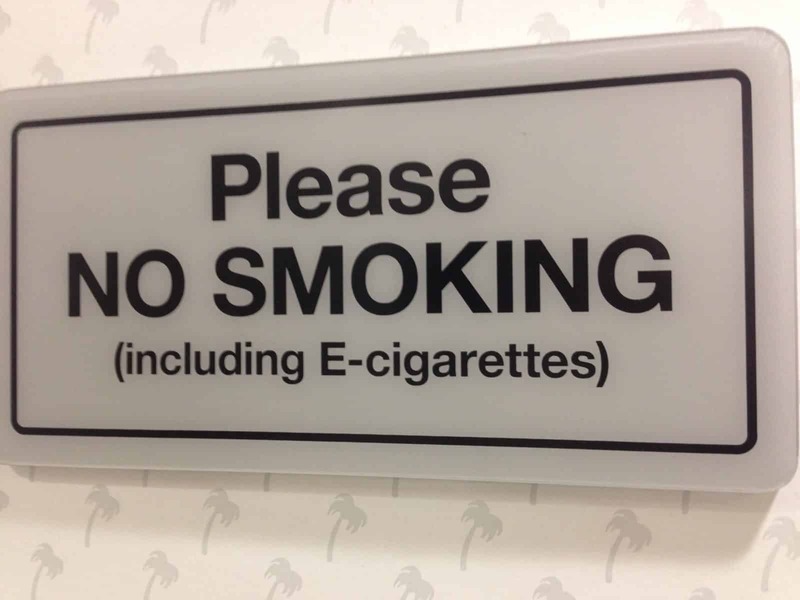 While this event seems ridiculous and extreme, with more and more no vaping signs going up, what can vapers do to calm the nicotine cravings when you can’t vape? The FDA has approved 5 types of nicotine replacement products. All of the options are effective given time, but many people like the immediacy of the inhalers because with the other options, the nicotine must travel through your stomach before it can get into your blood. FDA approved inhalers act quickly because the nicotine can transfer from your lungs to your blood quickly, but are deemed smoking cessation devices and require a doctor’s visit and a prescription. The other drawback is they are very expensive. At recent retail tradeshows I’ve seen a couple new options that you may not be familiar with. Nicotine toothpicks and a non-prescription nicotine inhaler called QuickNIC. QuickNIC is a non-prescription nicotine inhaler that provides a fine mist of nicotine to the lungs. It works in about 30 seconds. A few nice things about this new product is that it can fit in your pocket, doesn’t require batteries and most importantly can be used anywhere. It is also pretty affordable at $11.99 for 90 breaths. Whatever nicotine replacement product you choose, it is better than taking the risk of vaping in prohibited areas. If they guy on the airline had QuickNIC or one of these other nicotine replacement products, he would have gone home instead of downtown! Ben Cahoon is the vice president of marketing and sales at MicromistNOW. He’s a serial entrepreneur and advocate for nicotine replacement therapies when smoking or vaping is restricted.